When grocery shopping today, consumers are faced with many different options that didn’t exist in the past. As organic and clean eating grow in popularity, there has been a huge increase in the amount of products catering to this market. This has also been driven by a call for more humane practices in industries that are based-upon animal products. 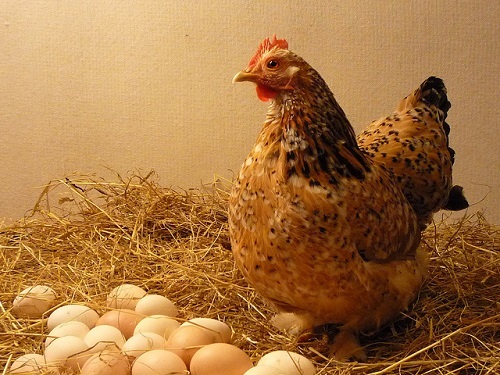 One of the options that has increased exponentially recently is related to chickens, as you can now find cage-free and free-range products, including eggs, available to consumers. These two terms may sound like they describe the same thing, and in fact there are some similarities. The first is that in both cases, the chickens are in an environment that allows them to fully extend their wings[i] which is not the case for most eggs. Up to 95% of egg production in North America comes from facilities in which the chickens’ movements are severely restricted. [ii] So while increased movement is a commonality between the terms, there are also some differences between them. While both terms refer to the chicken’s ability to roam around at will, in a cage-free setting they are still typically confined to indoor space whether it be in a barn or coop. There are nest boxes within the open space that encourage them to lay eggs, and in some cases, perches are even provided to them to further encourage movement. Sometimes, in the cage-free setting, there could also be dust-bathing materials for the hens although these amenities depend upon the producer and layout of the facility. Another option for egg production that is becoming increasingly desirable for consumers happens in a cage-free setting. In this setting, the birds are still confined to indoors exclusively, but they are also not kept in cages which allows for unrestricted movement. This is thought to be much more humane than the caged conditions, although that claim is still controversial due to overcrowding of many of the facilities. [vi] Like chicken meat that tastes better in a free-range setting, the eggs are also thought by some to taste better than the ones found in caged or cage-free settings. Free-range chicken eggs commonly have a much darker orange-colored yolk, although this is not always true. It is also thought that the grasses and insects enhance the taste of the eggs. Rikki Roehrich. "Difference Between Cage-Free and Free-Range." DifferenceBetween.net. November 30, 2016 < http://www.differencebetween.net/object/comparisons-of-food-items/difference-between-cage-free-and-free-range/ >.